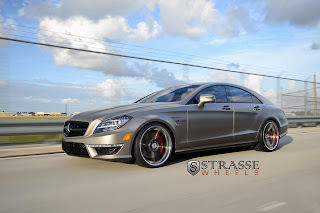 Our pick of the day is a Mercedes-Benz CLS63 AMG riding on Strasse Forged Wheels. The featured model is also equipped with the Designo interior which means that quality material like Carbon Fiber and Alcantara were used to make the driver feel more comfortable inside the V8 powered beast. 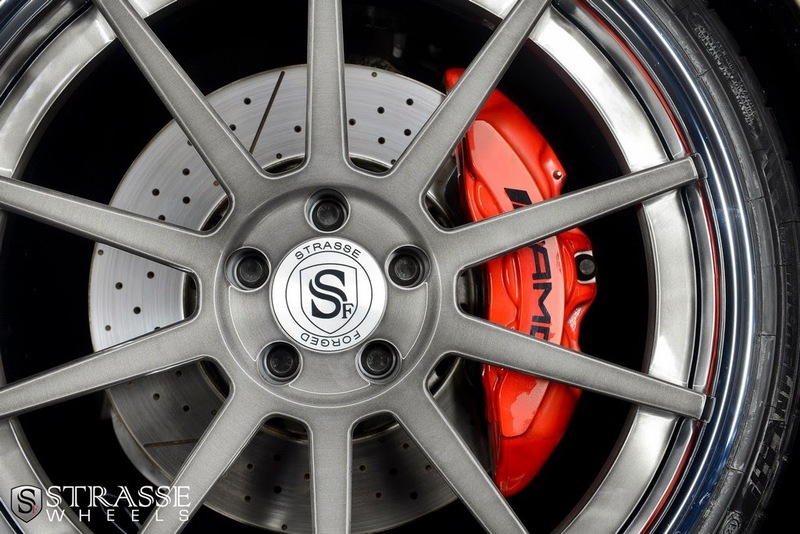 The wheels in question are Strasse Forged's R10 spoke design with the larger rear wheels having the Deep Concave profile. The centers are finished in Brushed Titanium, the lips are in chrome, the center caps are in brushed aluminum and the inner barrels are finished in Gloss Black. 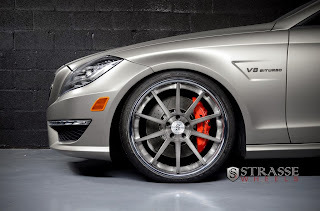 The wheels measure 20 inches all around and they come with the Performance Spec Weight Reduction Package. 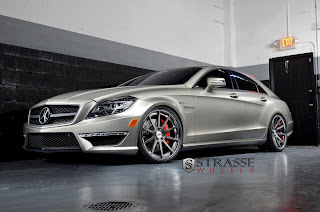 As a refresher, the Mercedes-Benz CLS63 AMG is powered by a turbocharged 5.5-liter V8 producing 518 hp at 5,250 rpm. 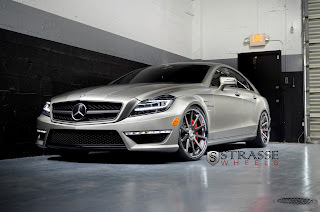 It can sprint from 0 to 100 Km/h (62 mph) in 4.3 seconds and has a top speed of 300 Km/h (186 mph) instead of the limited 250 Km/h (155 mph) for those who opt for the Performance pack. A great car just got better. More stunning shots after the jump.